Phrase development is a big topic. One I’ll only scratch the surface of now. 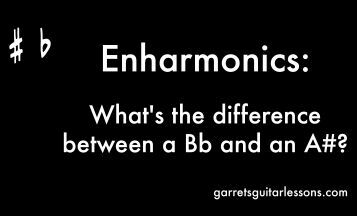 My example today is going to be revolving around some blues licks and how we can see how we develop into each phrase. This takes to some practice but it’s an invaluable tool to have to be able to milk as much out of one lick as you can. Space – A phrase isn’t a phrase if there isn’t punctuation around it. Much like a language phrase, if my blogs didn’t have periods, commas, spaces between paragraphs it’d be very hard to understand what I was trying to convey. Theme/Motif – What makes a phrase sound like it’s being developed is the things that stay the same throughout each development. The development can take a step forward (add more notes/vibrato/bends) or take a step backwards (take away notes/vibrato/bends) and still feel like it’s being developed, but it’s what’s the same between them that makes it so powerful. Rhythmic Playfulness – Another important point is that your phrase is being developed, so even tieing the same notes/techniques to your phrase can create a theme/motif, we have the freedom to start the phrase on a different beat, a different part of the beat and all around play with the rhythm as we see fit. An example of this would be starting with the same note/group of notes, ending with the same note/group of notes or having the middle part of your phrase having the same note/group of notes. You can also replace note/group of notes with any technique and get a similar result. 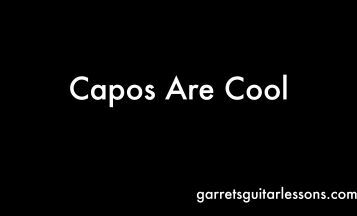 Alright, so now that we got that out of the way, here are some licks that demonstrate that (Phrase Development PDF). Between each lick is suppose to be a pause or punctuation mark and we have the freedom to play around with the rhythm of each phrase. So Phrase 1 is my benchmark phrase. It’s the first one of my licks and we’re going to base everything around this one. 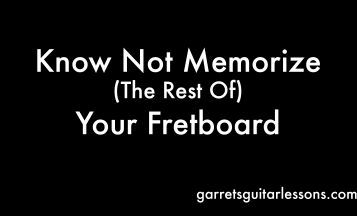 When comparing it to Phrase #2 we see all we did was add one more 15th fret on the 2nd string before our bend. Not a drastic difference, but still a difference nonetheless. 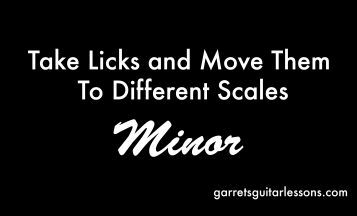 *Between these 3 licks, very subtle changes have taken place but our phrase is starting to develop. Phrase 4 – Now we’re starting to see some bigger changes in the phrase. The only thing that’s consistent here is my choice of scale (the Minor Pentatonic) and the first note and the last note. 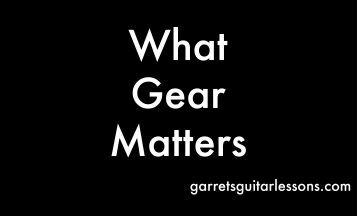 Phrase 5 – Again sticking with our consistent first note and ending the same as our initial phrase (#1) but this time we’re adding different notes on the 1st string and drawing more from our minor scale than minor pentatonic. Phrase 6 – Up until this point we’ve only stayed in our one box, now we’re starting to move around a little bit. We’re still starting and ending on the same note as the original, however. 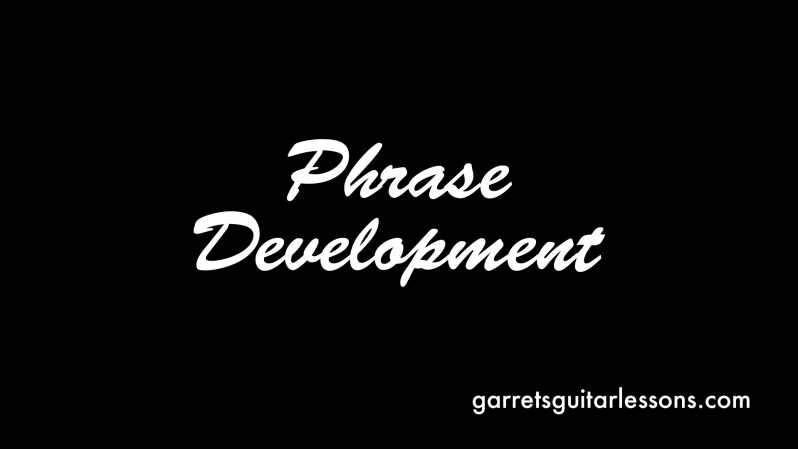 Phrase 7 – Up until this point we’ve only stayed on the first two strings, now instead of moving to a different “box” we’re exploring different strings in our phrase. Still starting and ending in a similar fashion as our initial phrase. Phrases 8 & 9 – These phrases are taking a step back and getting reacquainted with our two string motif we’ve established early on in our phrase development. The endings of both of these are reminiscent of #2. This last phrase is where it starts to vary quite a bit, I started to add some hammer-ons and pull offs, didn’t start the same way, but ended with the same bend I have throughout. 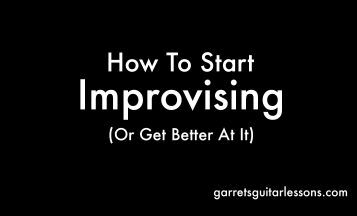 Looking for some licks to start developing yourself?